In the wake of the Oso landslide on March 22, 2014, Washington’s policies for approving forest practices have become a politically salient issue. While the Department of Natural Resources (DNR) is authorized to inspect forestlands by the Forest Practices Act (FPA), the state’s Forest Practices Rules do not explicitly contain any requirement for on-site inspections prior to a timber harvest application’s approval. Additional inspection rules would ensure that if an application is approved via the FPA’s automatic-approval mechanism, it will not be one with significant public safety or environmental implications—thereby strengthening the regulatory safety net against future tragedies like the Oso landslide. In 1974, the Washington State Legislature responded to public concerns about deforestation and sustainable timber yield with the FPA. Forest Practices Rules, which are promulgated by the Forest Practices Board and administered by DNR, regulate all activities related to growing, harvesting or processing timber. The FPA divides these activities into 4 different classes: Class I, Class II, Class III and Class IV. 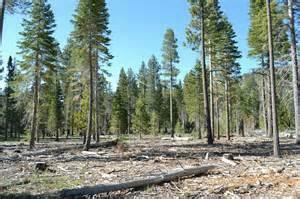 Among DNR’s duties under the FPA is the formal review of all Class III and Class IV Forest Practices Applications. Class IV forest practices include timber harvest on unstable slopes that have the potential to threaten public safety—unless these practices are subject to the prescriptions of an approved watershed analysis, in which case they are designated as Class III. Is not opposed by the local government in the area where the proposed harvest is to occur. Does not require State Environmental Policy Act (SEPA) review. Meets all Forest Practices Rules. The policy serves as a balancing provision to ensure the rights of private landowners are not constrained if DNR fails to meet its review deadline. However, it does not require assurance that applications passed by the expiration of the 30-day timeframe, including those for Class III forest practices near unstable slopes, are compliant with Forest Practices Rules. This particular section of the FPA has come under media scrutiny following the Oso landslide. In June 2004, Grandy Lake Forest Association submitted a Class III application to harvest 15 acres above the North Fork Stillaguamish River. The application notes that a watershed analysis conducted in the 1990s revealed “highly erodible” and “very unstable” soils in the proposed harvest area of the Hazel slope. This application was rejected for failing to provide a detailed report addressing the prescriptions for sensitive areas as outlined in the watershed analysis. On July 23, 2004, Grandy Lake re-submitted its application, this time excluding the sensitive area demarcated by the Hazel Watershed Analysis. The new, 7.5-acre harvest plan still indicated activity on or near unstable slopes and soils. Because the Hazel slope is under the prescriptions of a watershed analysis, this application was not required to go through SEPA review. The decision due date for this revised application was Aug. 22, 2004, exactly 30 days from the day of receipt. An approval was not issued until Aug. 23, 2004. By examining the second application, there is no way to ascertain whether its belated approval was triggered by the end of the time limit for DNR review. The agency reported 100 percent compliance with the processing time rule every quarter between 2007 and the end of the 2009-2011 biennium (OFM, 2012). However, DNR’s biennial Agency Activity Inventory didn’t start reporting on the percentage of Class III and Class IV applications processed within 30 days until the 2007-2009 biennium. Any attempt to causally link the automatic or intentional approval of the second Hazel Forest Practices Application and the tragic Oso landslide is premature at best and dishonest and misleading at worst. Still, the fact that forest practices may potentially commence before they are thoroughly reviewed by the DNR has implications for the public interest. Although applications are rarely approved via the auto-approval policy, there is no statutory requirement in either the FPA or Forest Practices Rules to revisit or follow-up with these applications to verify their regulatory compliance. This includes applications for Class III practices near unstable slopes. In order to address the potential automatic approval of Class III applications with landslide implications, the Forest Practices Board should strengthen the rules for detailed harvest site review prior to approval of applications. The Board can adopt rules that institutionalize a new internal standard announced by Commissioner Goldmark, the head of DNR. This standard states that applications for timber harvest in areas on and near unstable slopes and “in close proximity to public safety considerations” will be now subject to a detailed site review by a certified geologist prior to approval, regardless of whether or not the activity area is subject to a watershed analysis (DNR, May 9 2014). This standard supplements existing rules which require geotechnical reports for Class IV forest practices. Applications for Class III activities are not required to submit these reports, though they must now submit a Slope Stability Informational Form if unstable slopes are indicated (Forest Practices Board, audio recording, May 12 2014). New rules can be written in such a way that prioritizes review of applications for forest practices subject to the harvest prescriptions of watershed analyses, such as the one conducted on the Hazel slope in the 1990s, since they are not subject to SEPA review. The Oso landslide may serve as a focusing event for even greater reform of forest practices regulation. Institutionalizing Commissioner Goldmark’s new standard would simply be the beginning to a comprehensive reevaluation of Washington’s Forest Practices Act. Author: Nikkole Hughes is a student in the Master of Public Administration program at The Evergreen State College in Olympia, Wash. She received her bachelor’s of science in Natural Resource Sciences from Washington State University in May 2013. She can be reached at [email protected].